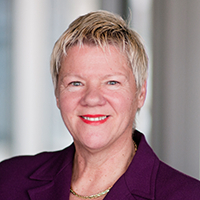 Loane Skene has been a Professor at Melbourne Law School and Adjunct Professor in the Medical Faculty for 15 years. Earlier, she was a solicitor in Melbourne and the United Kingdom and a policy adviser in Canada and Melbourne (spending ten years with the Victorian Law Reform Commission). She is author of the widely used textbook Law and Medical Practice: Rights, Duties, Claims and Defences and has written numerous book chapters and articles in Australian and international legal, medical and scientific journals. Her research interests include the 'ownership' of human bodily material, a project undertaken with colleagues at the Oxford Law School. She was a member of the NHMRC Australian Health Ethics Committee for some years and she has served on the two major federal committees on human cloning and embryo research; and numerous other federal and state advisory committees, especially in relation to genetics and the law.